Can't make the Climate March in DC? No worries, help fight climate change by supporting solar power in Pittsburgh! 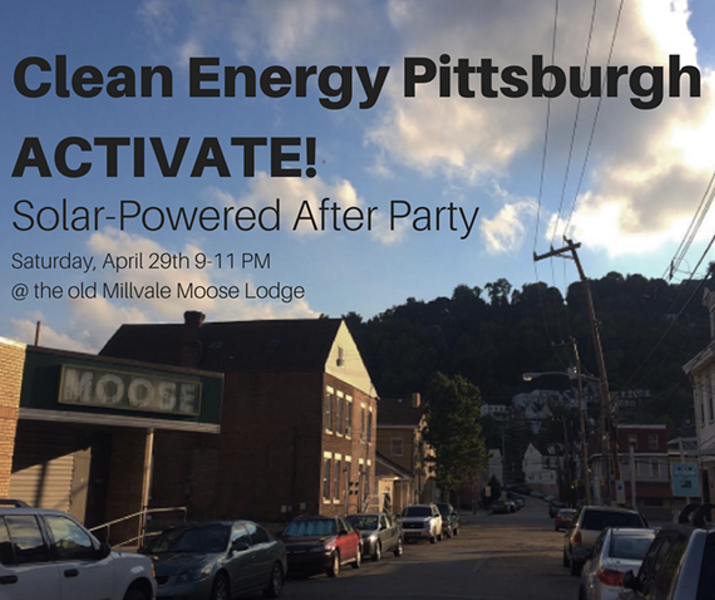 This fundraising event for PennFuture's Clean Energy Pittsburgh campaign will feature a DJ running on solar power provided by ZeroFossil. Each ticket gives you two complimentary beers provided by Millvale's local brewery, Grist House! Won't you contribute to Pittsburgh's clean energy future?